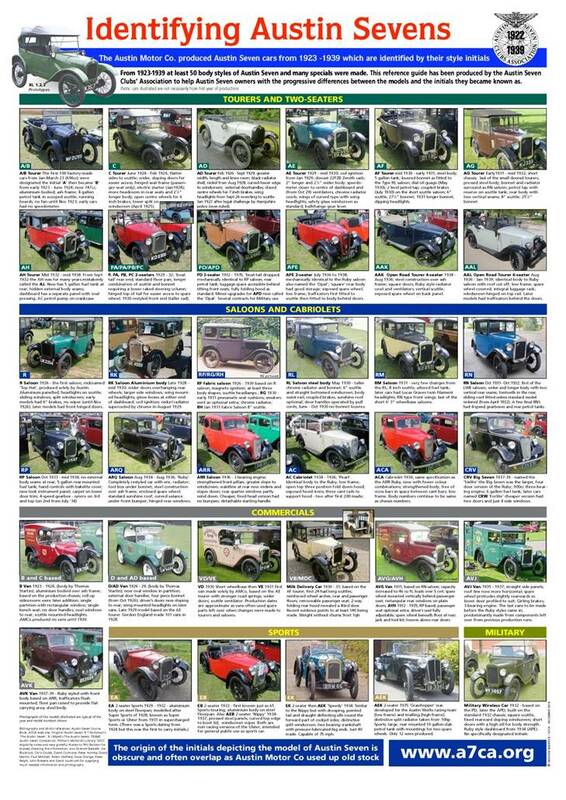 The advertisement shown here in landscape format is appearing in the 6th November 2013 issue of Classic Car Weekly together with an article they have written on the Austin Seven. 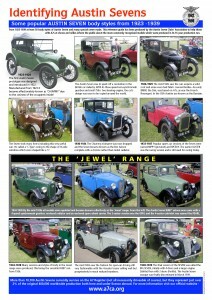 Once run, the advertisement can now be downloaded from this site for use in your club magazine. 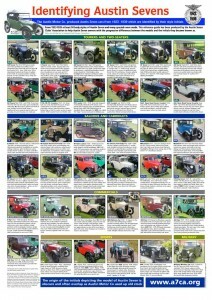 It’s available for download either in landscape format or as a quarter page. Just click on the ad you want! 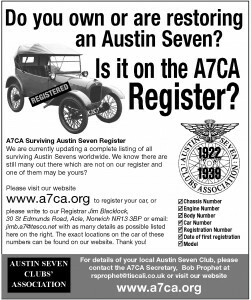 Our registrar Jim Blacklock has been working his socks off to gather together as much information as he can on the surviving Austin Sevens, of which there are now over 10,700, and if by advertising in your own magazine we can get even more cars on the Register that would be fantastic. Please download it to your computer and please pass on to your Club magazine Editor. 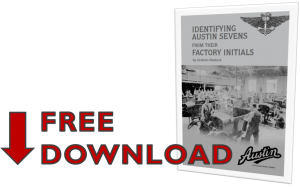 Every current subscriber to the Association magazine will receive a free copy of ‘Identifying Austin Sevens from their Factory Initials’. 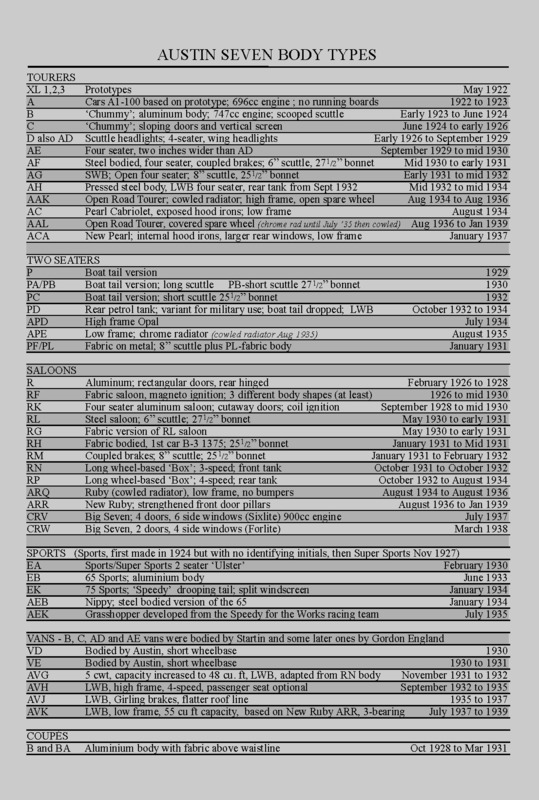 This is a more detailed extension to the A3 poster available below. 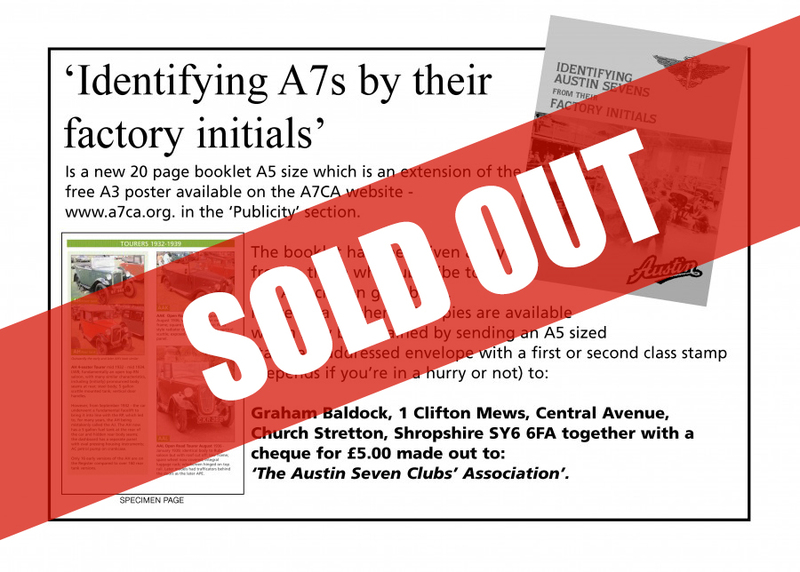 Below are links to Reference Posters for Austin Sevens. 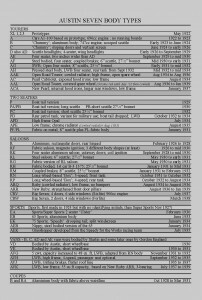 The Reference Poster has recently been updated with the help from Dave Martin.